Lots of likes and nice comments on social media but no sales? Find your buyers on Pinterest! Check out our online course: How to sell more art with Pinterest Free trial available! Lots of likes and nice comments but few sales? We can help! It was a nice day in June 2016 when I deeply fell in love with Pinterest. This happened all of a sudden and the love continues. Let me explain why I came to the conclusion that every artist should try to understand Pinterest to release its pure power. I used it before, but really did not know what I was doing. I pinned my artworks in some random boards and hoped for a number of repins and maybe some new followers. This is what most of us artists are doing, right? When I began to upload my photos to POD (Print on Demand) sites I realized that I had to do some marketing to get my images in front of potential buyers. So I did the usual things: Facebook (of course), Google+ (anybody remember the times when many people said Google+ will be the next Facebook? Yeah, right…) and Twitter. Then I heard about this Pinterest thing, signed up, created some boards, pinned away some stuff and then forgot about it. Have you ever been in a really dense fog? This is how my social media activities felt in the beginning of 2016. Just like throwing lots of darts on the dartboard with both eyes closed. Long story short: I decided to dive into Google Analytics (GA). Fortunately Fine Art America (the POD I love the most) supports the use of GA on their Artist Websites. Thanks to GA, I was able to track the buyer down. He (one of the about 30% men on Pinterest) pinned one of my pins into one of his boards. Then he clicked through and visited my Artist Website. According to his Profile he lives in San Antonio, Texas. Bingo! A revenue of $442 in one day from online art sales is not really bad. What do I say? This is just amazing! And I wanted more of this. As you can see on the chart above: the daily impressions skyrocketed. More and more people saw my pins. I tried different things and strategies. Some worked really well, others not at all. I began to really understand Pinterest. And in the Holiday season 2016 I had my best months ever (regarding sales on my Artist Website). Businesses are welcome on Pinterest. Really welcome. Yes, everybody and their mother are on Facebook. I know it and I get it. I’m on Facebook too. But let’s be honest: why are most people on Facebook? They want to connect with friends and watch those cuuute cat videos. Well, there may be some other reasons, but most people don’t want to see much business stuff on Facebook. They are on the biggest social network on the planet for one reason: they want to be social. Most of them don’t think, ‘Hmmmm, I really need to redecorate my living room, let’s go to Facebook and browse for some throw pillows’. On Pinterest, they do this and many other things that are really exciting for us artists. Shopify (one of the leading eCommerce platforms) analyzed the traffic for thousands of its shops and found out that the average order value of sales coming from Pinterest is higher than any other major social platform. 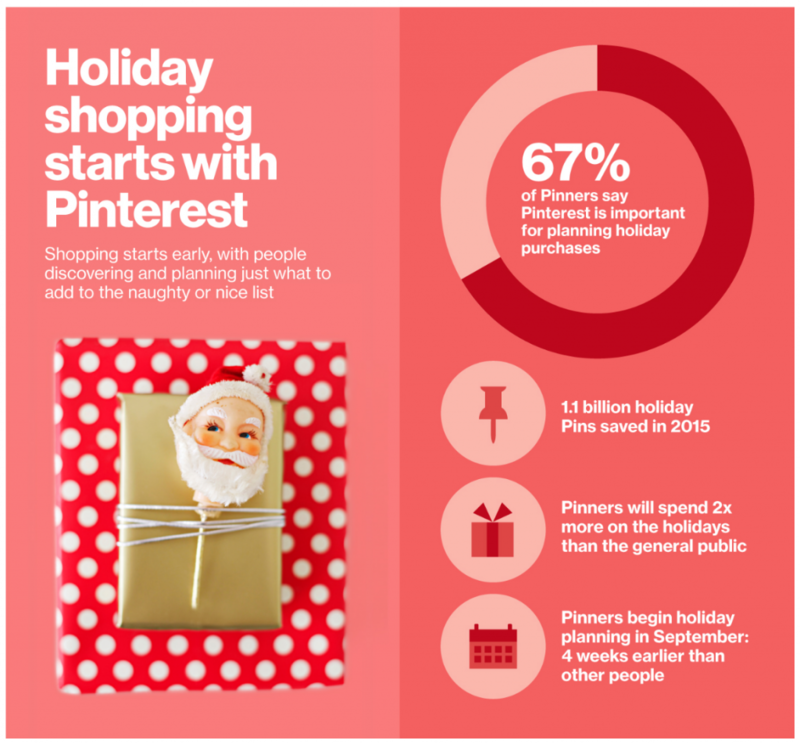 They also found out that Pinterest is the second highest overall source of all social media traffic to Shopify stores. Source: Spotify. This is amazing when you compare how many users Facebook has (1.23 billion daily active users on average in December 2016 according to Facebook). Yes, Facebook is a giant, but Pinterest is growing fast too: There are 200 million active users now. More than half of the users (55%) use the site to find or shop for products. Facebook and Instagram are in second place with only 12%. The much hyped Snapchat has a whopping 3%. Source: Kleiner Perkins 2016 Internet Trends report. Surprised? But it’s true. People do not go to Pinterest to comment and like some random stuff. They want to be inspired. They are looking for solutions and for great products to buy. And they actively participate in the world’s catalog of ideas. The half-life of a Pin (the time in which it earns half of the overall engagement, like clicks and view) is 3.5 months – about 1,600 times longer than a Facebook post. Source: Small Business Trends. Enough data? I think so. Do you want to really understand Pinterest? After reading all these stats, I really wondered why this wonderful place still is a widely unknown marketing tool for many artists, so I asked some of them. Many of them heard of the site and even tried it but gave up after some weeks or months as they did not see results. And I get it. It can be hard to really understand Pinterest and unleash its great and wonderful potential for artists. I created two things to help you: This Blog and a complete, step-by-step online course: How to sell more art with Pinterest. There are three free lessons, feel free to check them out. Always try before you buy! Hint: This blogpost is the first lesson of the course (Why Pinterest?). The course will start with the basics. We will create a business account together (or convert your existing personal account to a business one). I will explain every step in detail (for example, why it is so important to use a business account). We will create the right boards and find really good titles and descriptions for them. Then we will move to the heart of Pinterest: the Pins. You will learn why some pins are more successful than others (in getting viewed and driving traffic to your art) and what to do to get as many great pins as possible. Together we will explore the whole Pinterest Universe (the power of group boards, why you want to have rich pins, what and when to pin and many other important topics). You will be one of the people that really ‘get’ Pinterest and you will be able to develop your own strategies to drive traffic to your art. Please let me make it clear right at the beginning: This is a serious course. I will not promise you things like ‘How to get 2000% more sales in two weeks.’ But I can promise you one thing: Put in the work (and yes, there is work to do) and you will see a significant increase in all the important metrics (we will cover Pinterest Analytics in the course). More importantly, you will have more qualified visitors (with purchasing intent) for your art. Make the most out of it! Oh, and of course, I will also show you how to save as much time as possible when marketing your wonderful art with Pinterest. Pinterest helped me a lot to get more sales and I will teach you all the basic things and advanced strategies you need. Deal? Fine, let’s do this! Yes, send me my free lesson! Enjoy our blog and check out our step-by-step online course: How to sell more art with Pinterest — Free Trial available! 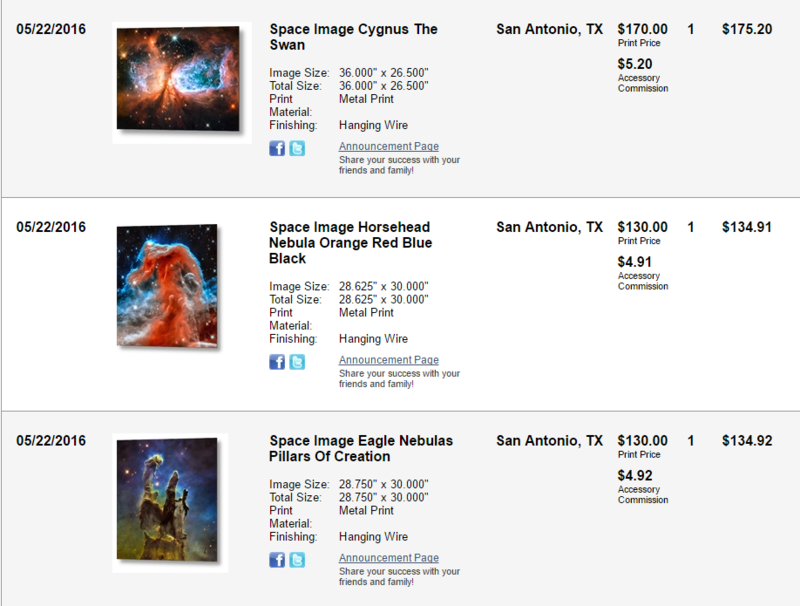 My first sale on Fine Art America came five days after I started this course! The course has saved me a really valuable amount of time.